If you haven’t created a business plan yet and need a simple one that integrates “online” with “offline” business growth strategies, here you go! Just click on the image in this post to download PDF file. 1. Articulate your professional ethos. What kind of business do you want to have? 2. Determine specifically what your goal is. How much money do you want to make? Why do you want to make it? 3. Determine HOW and WHAT you will do to achieve your goals. 4. Determine WHEN you will do it. i.e. Create a schedule to execute the plan. 5. Include an accountability component to ensure adherence to the plan and measure progress. 6. Require a commitment to be made and shared with those who will be impacted by your success or failure. The simple business plan that I created has a simple business ethos… Productivity and Professionalism! If a real estate agent is highly productive and focuses on being highly professional, they will have a clear path to grow year over year. -More skilled based on more transactions and more experience. -The more productive an agent, the more income they are making. The means they are not running desperate for a commission and are likely to make better decisions for their clients. -The more productive an agent, the more they can invest in their business to grow it. Pretty simple. -A focus on high ethics and strong customer focus. -A desire to provide a high level of service to the customer. -A desire to put forth a professional image at all times from ones appearance to the marketing and advertising utilized in their business. -Treating others as they themselves wish to be treated. i.e. Returning calls, focus on solutions, communication, etc. I honestly believe that if every agent woke up every morning and simply focused on these two things, worked from a solid business plan, and implemented a solid and consistent accountability program, they would dramatically increase their income. Therefore, I created a plan that any agent could complete and implement! At Coldwell Banker Residential Brokerage / Previews International, we are looking for Productive and Professional agents to join our firm at all times. Our standards are high and we create an environment that supports these principles. As always, if you are not a Coldwell Banker agent already, and would like to find out more about this amazing company, then feel free to call me at 714-782-2723 or email me at brad.pearson@camoves.com . 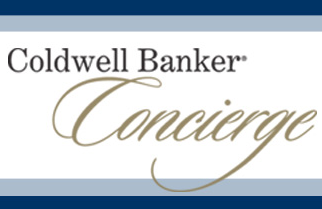 Click to learn more about Coldwell Banker! 2014 Coldwell Banker TV ad launch! 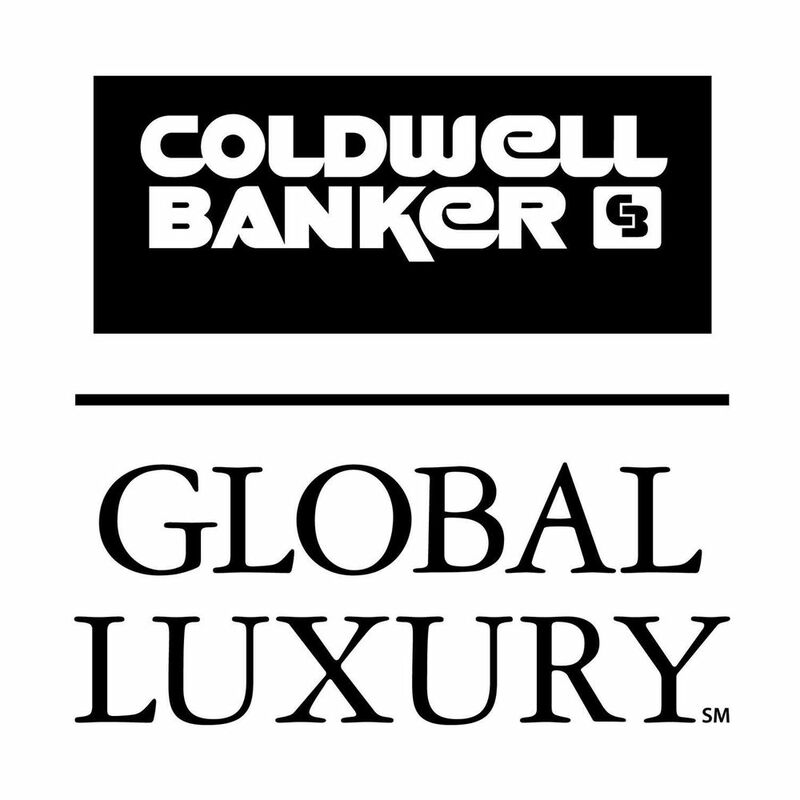 While it seems that so many companies are doing very little to create and grow their “brand” image and recognition, Coldwell Banker is investing millions of dollars in promoting the brand and home ownership, keeping Coldwell Banker agents top of mind to the consumer! No wonder so many great agents are affiliating with a strong company with a solid and well known brand! Here’s a preview to the new 2014 ad campaign #Homerocks! 60 Second Commercial during the Grammys! 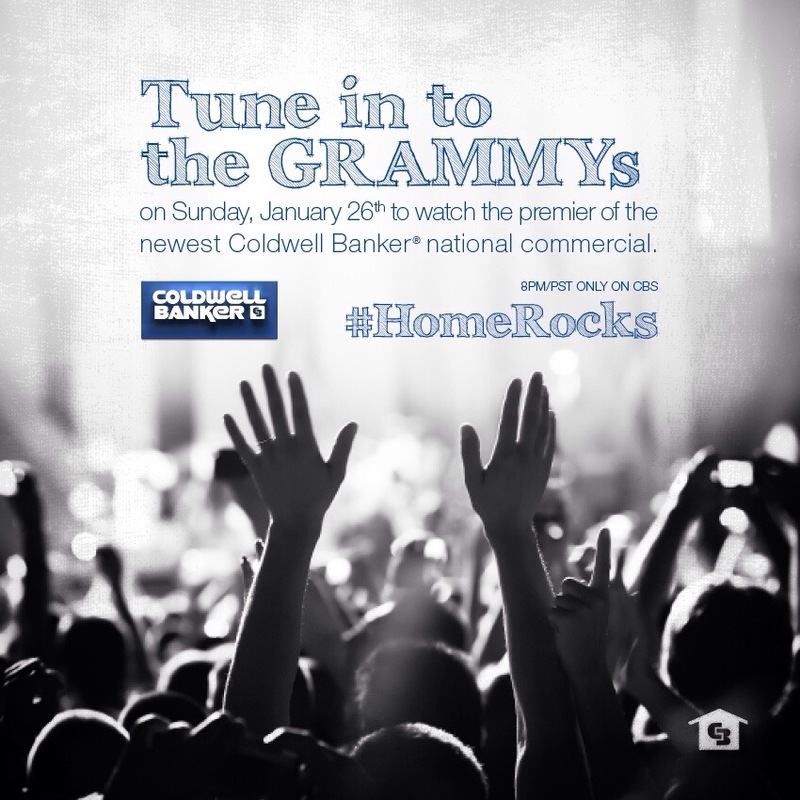 It is unheard of for a real estate company to take a full 60 second spot during the Grammys! This is an outstanding example of Coldwell Bankers commitment to creating and maintaining brand awareness along with the importance of home ownership! Yep! I’m going to quote the great philosopher… YODA! “Do or do not… There is no try.” Yes, that just happened! Accept it. NO, I haven’t lost my mind…. yet. I’m just keeping it simple as always! It’s that time of the year again. You’ve completed your business plan, you’ve set your “goals” and set an income number that you intend to “try” and achieve. You either picked a safe number or you decided that this year “will be the year” that you achieve the BIG number. If you work with me, then undoubtedly you picked a BIG income goal and have a crystal clear plan on how you will achieve it, and we’ve likely already had this conversation. If not, then please continue! The bigger the goal in many cases the more distant it appears in our minds, and the less we tend to believe that we can achieve it, therefore we say “I’ll try”, and for most of our lives the rest of the world has been telling us that “trying your best is good enough”, yet once we become adults we find out that no one will pay us for “trying” and we ONLY get paid for “doing”! In our business, our clients don’t even have to pay us a single dime for “trying” and ONLY pay when we “DO”. “Try” to sell their home = no commission, “DO” sell their home = commission! It’s simple, the agents that DO get paid very much and very often and the agents who TRY, starve and struggle. Do what? you ask… They do the things daily that are absolutely necessary to lead to the success they desire to achieve. They don’t try to reinvent the wheel either. They remain focused and consistent with those activities regardless of the outcome initially and have absolute faith that persistence will pay off. Almost every success story ever told includes persistence as the primary ingredient. PROSPECT, PROSPECT, PROSPECT – FOLLOW UP, FOLLOW UP, FOLLOW UP – DELIVER ON YOUR PROMISES TO YOUR CLIENTS AND ALWAYS PROVIDE WORLD CLASS, OVER THE TOP, INCREDIBLE, SERVICE! Let’s talk about the prospecting part since we’ve addressed the follow up part in a previous post here. Every sales coach has to contend with the lack of belief that certain things work. I can talk about expireds and give 1000 verifiable instances where they work if agents work them consistently, and still have agents come to me and tell me that “I tried working them and they didn’t work Brad, any other ideas?”, so then I talk about For Sale By Owner’s, Sphere of Influence, Past Clients, Just Listed and Solds, Door Knocking, Cold Calling, Social Media, Networking with Attorneys (BK, Divorce, Probate, etc. ), Open Houses, Retired Agents (as referral sources), etc. etc. etc. and then get the same response. I’ve been known to be too direct sometimes and have respectfully said “it’s not the sources that don’t work, it’s you that doesn’t work”. 🙂 Literally any of the sources I listed, and many others, will work 100% of the time, if the agent works them consistently! Not 80%, or 90%, but 100% of the time! That is the BEST thing about this business! Despite all of the technology and fancy products being sold to Realtors, hard work, great presentation and sales skills, persistence and determination, will ALWAYS work! Excuses, disbelief, lack of commitment, and a constant search for “an easier way” ALWAYS leads to failure. I had a great conversation with one of my past mentors and good friends the other day about the simplicity of success in this business and this is what we came up with to try and convince non-believers to focus on the simple numbers aspect of this business, and anything such as skill, training, intellect, and experience would simply be a bonus and increase the success rate. 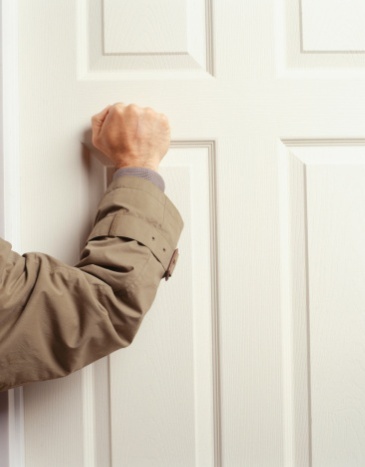 If a brand new agent without an ounce of training or skill, simply knocked on 100 doors every work day for a year, minus weekends and two weeks for vacation, (=250 days) and only 25 per day actually answer their door and talk to them, that would mean they would actually contact/speak with 6,250 fellow human beings in a year. And if all they said was “Hi, do you want to sell your home?”, they would at a very minimum find 10 people who would say yes and list with them. And with an average commission of $12,000, they would make $120,000!!! Now just add some sales training, skill, a great presentation, and a better script, and that number can double! Don’t agree with my rate of return? Then talk to 50 per day and 12,000+ per year. We’ve all met a highly successful agent that we were not impressed with and scratched our head and said “how does he/she do it?”, well here’s the answer! They do not TRY, they DO! Below are two great videos. First one is only 25 seconds and it’s Yoda being brilliant! The second one is about 5 mins and it’s billionaire Art Williams’ “Do It” speech several years before Nike coined the phrase! My advice, watch them both every morning before you go to work! As always, I am here to support you in achieving your goals! At Coldwell Banker, the culture and support creates an environment that enables agents to deliver the finest full service to their customers, while providing the finest tools in the industry to help grow their business. While it is no secret in the industry that we are very selective when it comes to the agents we affiliate with, it never hurts to meet and see if we’re a match. If we are and we decide work together, then you can be proud to say that you are surrounded with other like minded professionals with similar values and that you are with a company with high standards!